Alexis speaks with out-of-body expert William Buhlman about the practice and importance of “self-initiated” OBE’s. Out of Body expert William Buhlman is passionate, adamant, and encouraging when it comes to the practice of what he calls self-initiated OBE’s. As elusive and mysterious as this process may be for some, William contends that it is one of the most natural states an individual can experience. Furthermore, as we continue to catapult toward an increased level of consciousness, both individually and collectively, William feels that the regular practice of out of body experiences will gain in popularity as an essential part of our spiritual development. In this, our fourth interview together, William discusses some interesting methods by which to trigger controlled OBE’s as well as share some of his own sojourns into the “space” we call the non-physical realm. Why there is an apparent increase in interest and practice of OBE’s. Why self-initiated OBE’s are becoming more urgent now. The OBE as a natural state of being and the overall benefits of out of body practice. The illusory nature of the physical world and how OBE’s will prove the illusion. Shifts in the “physical” environment during an OBE. Methods by which to induce an OBE – KEY!! The connection between, OBE’s, NDE’s (near-death experiences) and ET experiences. The cross-over between OBE’s and the meditative state. How self-initiated OBE’s can prepare an individual for the “dying” process. How OBE’s can be used to confront challenges in personal life. How OBE’s relate to more “traditional” religious traditions. Listen to this episode free and on-demand! Subscribe to CLN Radio’s Conscious Inquiry on iTunes. William Buhlman is America’s leading expert on out-of-body experiences. The author’s four decades of extensive personal out-of-body explorations give him a unique and thought provoking insight into this subject. His first book, Adventures beyond the Body chronicles his personal spiritual journey of self-discovery through out-of-body travel, and provides the reader with the preparation and techniques that can be used for their own adventure. During the last ten years he has conducted an international out-of-body experience survey that includes over 18,000 participants from forty-two countries. The provocative results of this survey are presented in his book, The Secret of the Soul. 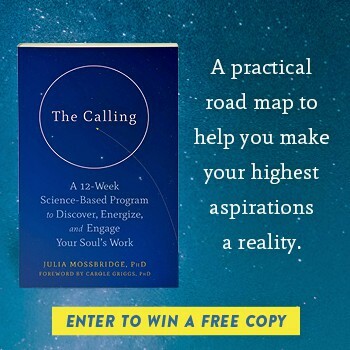 This cutting edge book explores the unique opportunities for personal growth and profound spiritual awakenings that are experienced during out-of-body travel. Over the past two decades William has developed an effective system to experience safe, self initiated out-of-body adventures. He conducts an in-depth workshop with the Monroe Institute titled, Out-of-Body Exploration Intensive. This unique workshop provides the steps, intention and techniques designed for controlled out-of-body exploration. Each participant will experience a comprehensive array of OBE methods including the target technique, inner motion, visualization, chakra and energy body activation. In addition, hypnotic, shamanic and early morning methods will be practiced. The author brings a refreshing look to how we can use out-of-body experiences to explore our spiritual identity and enhance our intellectual and physical lives. William is best known for his ability to teach people how to have profound spiritual adventures through the use of out-of-body experiences. In addition, he has developed an extensive series of audio and video programs that are designed to expand awareness and assist in the exploration of consciousness. William has appeared on numerous television and radio shows worldwide. William’s books are currently available in ten languages. Coming up next on Conscious Inquiry: Past-Life Regression and the ET Reality with Mary Rodwell. CLN RADIO NEW EPISODE: How to Manifest from the Out of Body State!